Claro runners and riders were in action over the weekend. The following Top 10’s were achieved. 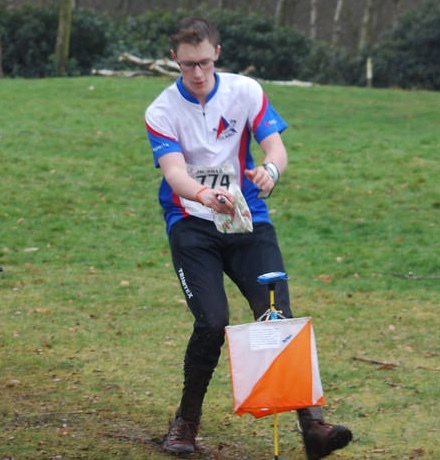 At Thirsk , Matthew Rochester was 10th in Men Open, Allen Barnes was second in Mens Hyper Vet, Elizabeth Rochester was 9th on course G . The next day at Wass Matthew Rochester won the M18L class ( he was also last but you have to be in it to win it) . 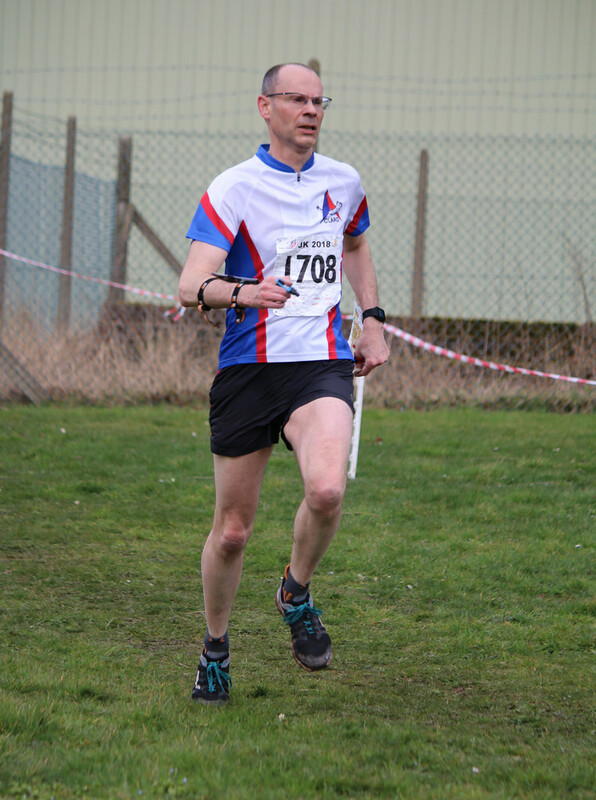 Will Drewe was 2nd on M35S, David Day was 7th on M70L, Allen Barnes was 5th on M75L, Liz Drewe was 2nd on M35L, Ruth Ker was 3rd on M50L, Liz Potterton was 9th on W60L, Jackie Barnes 9th on W70L. NATO are organising 2 events on the 9th and 10th June in Morpeth details are here. 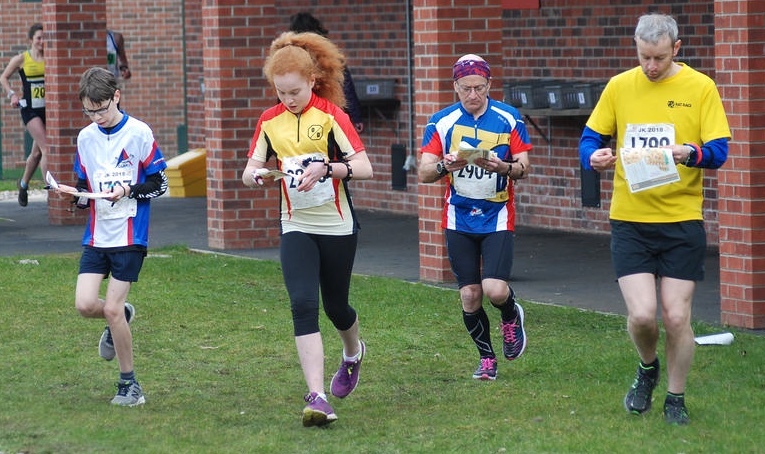 The first event is on Saturday afternoon and is the British mixed sprint relay. We already have one team and we would like a few more, teams are of 3 people and must have at least one man and one woman. If you are interested please can you e-mail Ruth so she can collate teams. As agreed at the latest committee meeting the club will contribute to the entry fee. I have received the following plea from Phil Batts at BAOC. Dave Riches has agreed to put on the cancelled event ( due to snow) at Woodthorpe in York on the 16th of May. He is doing this completely by himself and would welcome some help in running the start and collecting in controls. 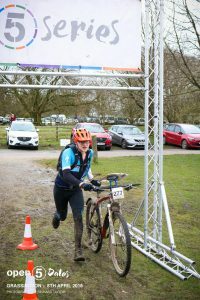 It is not run under BOF rules but it is clearly Map reading, Team Parker have been out competing in the Open 5 race series over winter, this is a series of 5 hour score races on foot and bike. Adrian and Luke finished 2nd in the male pairs, Nathan was 8th in Male singles and Jo Anderson and Jemima were 4th in the female pairs. 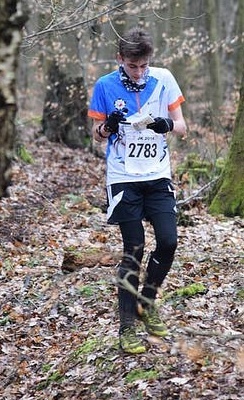 Pictures courtesy of Open5 facebook page, Luke still looks fresh despite having to push his dad up the hills. Some of you may recall the event that was cancelled due to the snow, this has now been rearranged for Thursday 17th May at Ashville school details are here. Claro runners and riders were in action over the weekend. The following Top 10’s were achieved. At Brighouse Mike Cope was 8th on the Green, In the lakes at Graythwaite east on day 1 Ruth Ker was 1st on Green . In Grandola Tim Evans was 4th on the medium and 6th in the Long . No sooner have the winter blues subsided that we start to think of the next series of events the Spring Flowers. These will be like last year with limited SI boxes. . We are also looking to have a meet up after each event. If you missed the first event results are here. The Next event is Wednesday 2nd May at Jacob Smith park, afterwards at the Mitre. Congratulations to all those Claro members who have received BOF awards this year. Full details of the scheme are on the BOF website here. We all make mistakes and this is how experience is gained. Two Claros have shared their learning experiences from the weekend. North and South are not interchangeable, and if you are going to make this 180 degree error , it is best not to make it on a large Lake district fell by running down it at speed. This resulted in a 17 minute split for Ruth Ker. 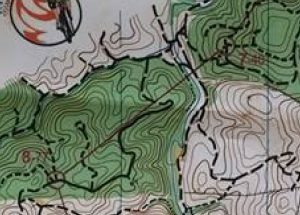 Meanwhile in Portugal your newsletter editor took the wrong path out of a complex junction , decided the compass was wrong and the Orienteer in the Swedish top must be right and ended up having to relocate with a split of 37 minutes. 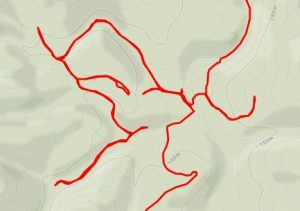 Above right is the leg off the M60 map ( it is 9-10 on M55 and we had a 1:15,000 map) and above left is my GPX trace showing the compass was not wrong . The thin blue line was a two foot deep torrent following the overnight rain. I knew I was back on the map as other riders appeared but I couldn’t work out where. The newsletter editor welcomes other learning experiences. Some superb runs by numerous Claros at the JK, as per last year these are a summary of those who finished in the top 16 of their age class. In Fridays fast and furious sprint at Stafford MOD. Ruth Ker Podiumed with 3rd in W50. Edwyn Oliver-Evans was 5th in Men Open ( would an SI Air have gained him the 5 seconds he needed for 3rd?) Luke Fry was 16th in M14 and Susan Birtwistle was 16th in W60. On Saturdays Middle at Brereton Spurs. 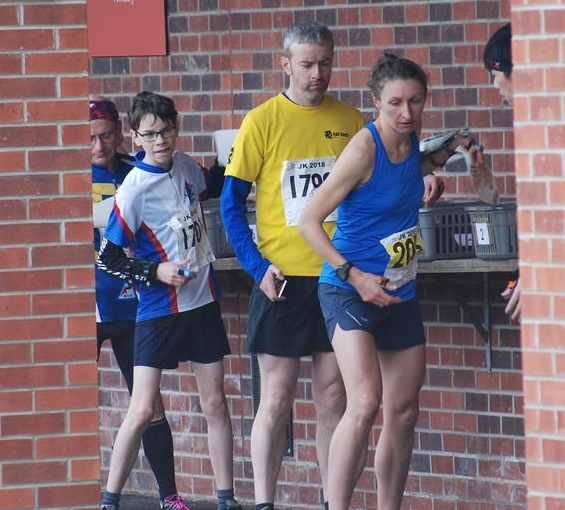 Tamsin Ker was 1st on W16B, Ruth Ker was 6th on W50L, David Rochester was 12th on M45S, Matthew Rochester was 16th on M18L and Luke Fry was 16th on M14A. 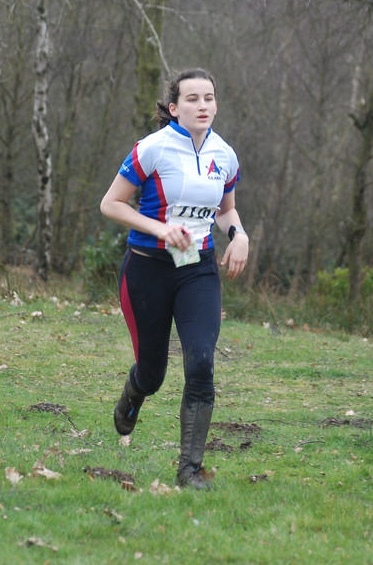 On Sundays Long at Beaudesert Activity Centre Alex Robinson was 6th on M18L and Ruth Ker was 6th on W50L. On Mondays very wet and muddy relays also at Beaudesert Claro had 3 teams, Adhoc Claros of David Rochester, Tamsin Ker and Ruth Ker came 24th, Short Claros of Alex Robinson, Edwyn Oliver-Evans and Matthew Rochester came 24th on Short men and the Mature Claros of Tim Evans, Phil Robinson and Graham Ramsden came 33rd. 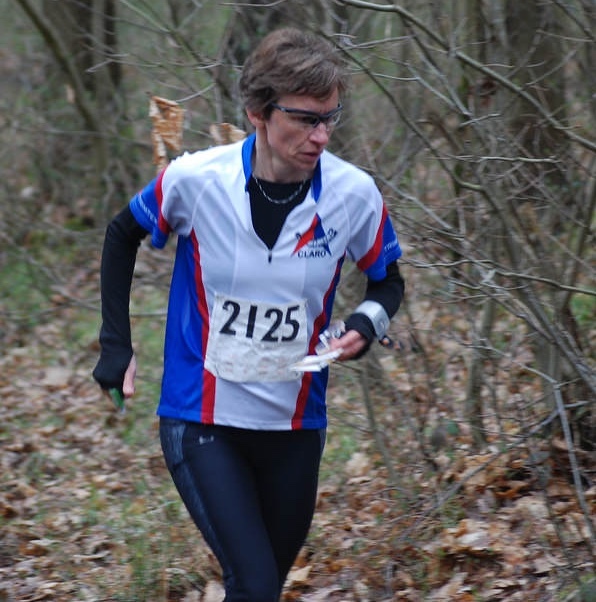 Apologies ‘www.ontheredline.org.uk‘ about the Senior squad was launched by Maprunner not British Orienteering. There is a lot of interest for juniors ( and others ) in the blogs and training diaries. We are looking to see if we can get any other news snippets to encourage our younger runners. Any ideas will be greatly appreciated. No sooner have the winter blues subsided that we start to think of the next series of events the Spring Flowers. These will be like last year with limited SI boxes. Dates have been announced and Richard has planners for all but the first event, so if anyone fancies doing some planning for the first time over their Easter Holidays this is an ideal opportunity. We are also looking to have a meet up after each event, more details to follow. 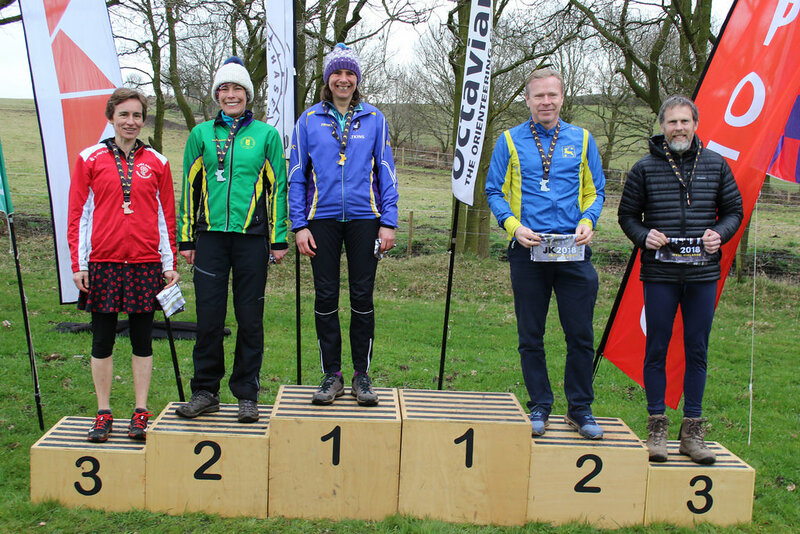 The Northern Champs is being hosted by EBOR in Wass Forest on 22 April. There is a supporting Urban event hosted by HALO in Thirsk on the previous day 21 April. Both are UKOL events. Details can be found on EBOR and HALO websites. Entries are via Fabian4. Both organisers need more helpers and I hope that some CLARO members will be willing to offer some help. If you are going to either or both events and you can help, prices for seniors with a helper discount code drop from £10 to £4 (Thirsk) and £17 to £10 (Wass). 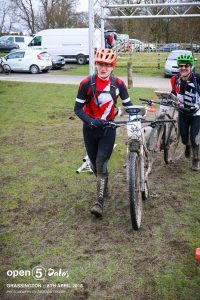 For the Northern Champs, organiser Mike Ridealgh particularly needs helpers for the second shift – run first and help later. Ken Hutson is the Thirsk organiser. For the helper discount code and to let organisers know of your helping preferences, please contact them directly by email – ken.hutson@gmail.com and ridealghm@yahoo.co.uk. The 3 CLARO members who have already entered can get a refund equivalent to the discount if they contact the organisers and are willing to help. Please volunteer if you can.